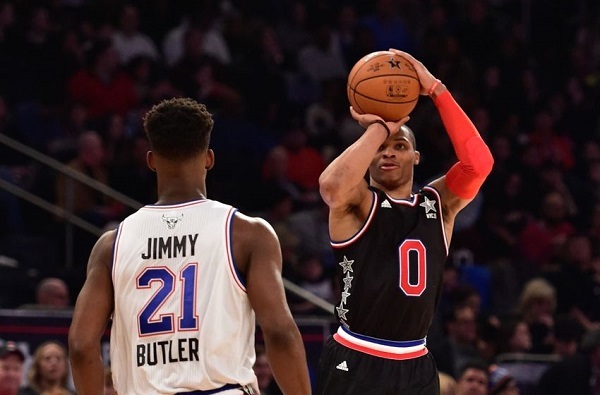 It is no secret that the luster of the All-Star game in major American professional sports lost its luster generations ago as the showcase typically devolves into a highlight fest with minimal effort until the last few minutes of the game if the game is close. That doesn’t mean that leagues like the NBA can’t and shouldn’t try to do what they can to incentivize their stars to attach some meaning to the game. The NBA is stepping up their efforts in that way for the 2018 NBA All-Star Game in a few weeks by reportedly awarding $100,000 to each player on the winning team and $25,000 to each player on the losing team. “Each player on the winning team will receive $100,000, and the losing team players will pocket $25,000, league sources said. The only modification is the winner’s compensation, with a $50,000 boost from previous years. All-Star players who spoke to ESPN overwhelmingly agreed that this financial incentive is a game-changer. The previous prize for the players of the winning team was half of that, at $50,000. It could be lip service by veterans like Horford as to how significant the extra $50,000 in prize money actually motivates them, but to any normal human being and even most NBA players, $100,000 is a sizable amount of money and enough to warrant legitimate effort and desire. We’ll be able to tell pretty early if this announcement has an effect on the game or not, either way, there is no harm to the NBA upping the ante a little bit in order to provide a more entertaining showcase of its best players to fans. I am sure some with want the extra $100k to cover all of their bottle service and extravagance in the days leading up to Sunday’s game.